Further thinking, lateral thinking, and rethinking – to stay ahead. As a leader in innovation, Schaeffler expands its work on research and development systematically in line with the requirements of the global market. In this, considerable value is placed on partnership with universities, institutes and research bodies, which gives rise to continually forward-looking ideas and innovations. 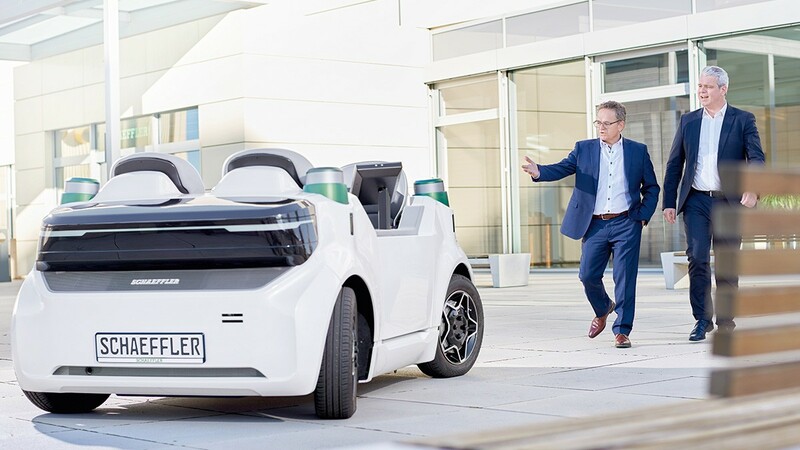 SHARE at FAU is the name of the new scientific collaboration project between Schaeffler and the Friedrich-Alexander University of Erlangen-Nuremberg. Both parties signed the contract at the end of July 2016. SHARE at FAU will be structured in a similar way to SHARE at KIT (The Karlsruhe Institute of Technology). This collaboration project has, among other things, the objective of developing joint solutions for future mobility. In terms of content, the topics should complement the development at the KIT. The focus of the research undertaken by SHARE at FAU is on the digitalization and processes in production, the product, services and business model. 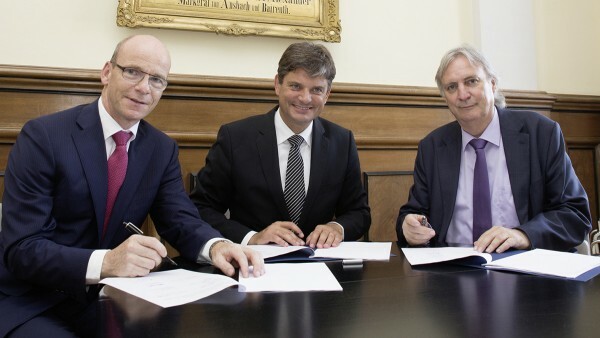 In August 2012, Schaeffler AG and the Karlsruhe Institute of Technology (KIT) signed a "Memorandum of Understanding" on cooperation in research. Schaeffler and KIT will study future-oriented issues in the field of mobility and develop solutions together. This is intended to set new standards of cooperation in research, development and early industrialisation of hybrid and fully electric drive systems and their components, in order to meet the requirements of future mobility. Schaeffler will maintain a presence on the KIT Campus Ost in accordance with the "Company on Campus" concept and place employees in the "Schaeffler E-Lab at KIT". This will ensure direct, intensive and results-oriented cooperation. 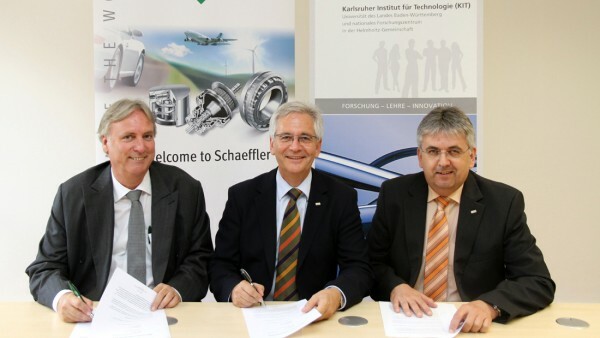 The Karlsruhe Institute of Technology (KIT) and Schaeffler AG have signed a "Memorandum of Understanding" on cooperation in research. 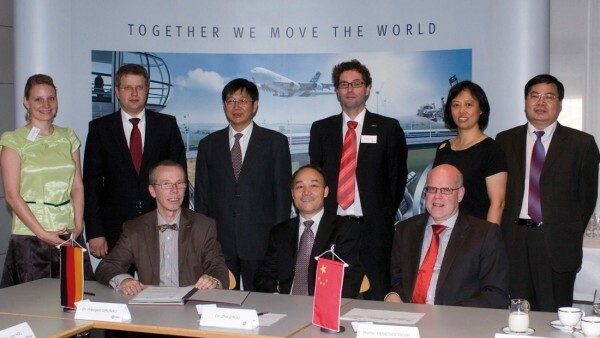 Particular attention is paid to our cooperations in China as a market for the future. We see our sites in China not only as a central component of our worldwide manufacturing network but also as an important of our global research and development network. For this reason, we need close contacts and cooperations with prominent universities and educational facilities in that very area. Important milestones in this respect are the contract for cooperation with the Chinese Henan University of Science and Technology (HUST) and the Endowed Chair for Automotive Engineering at Tongji University in Shanghai. Schaeffler and HUST have been cooperating since 2011 on diverse research projects and are also working closely together in the area of technical standardisation. Furthermore, the contract envisages reciprocal scientific exchanges: leading engineers from Schaeffler are active at HUST as consultants and visiting lecturers. In return, scientific employees and professors from HUST have the opportunity to participate in Schaeffler research projects. The partnership with Tongji University in Shanghai dates back to the founding of an endowed professorship by Schaeffler in 2006. Since then, engineers from Schaeffler have held seminars at Tongji University. Schaeffler regularly gives invitations to graduates and offers accompanied study services. Since 2010, Prof. Dr. Peter Gutzmer, Vice President for Research & Development of Schaeffler AG has also undertaken teaching activities as a consulting professor at Tongji University.